12 months & up. 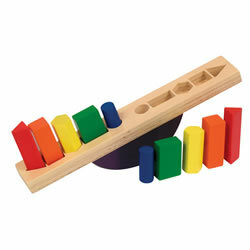 This scale introduces toddlers to weight, gravity, and balance with six colorful shapes of equal weight. The eyes close when the scale is off balance and open when equally balanced. For added enjoyment, there is a mirror on the reverse side. 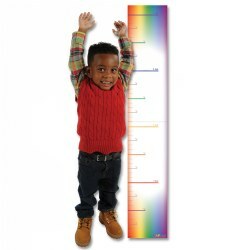 This colorful growth chart allows children to keep track of their growth and see how tall they are while encouraging them to feel a sense of pride and esteem. The colorful presence of the chart makes it the perfect addition to any classroom wall decor for the entirety of the year. Sturdy and protected classroom chart is generously sized at 4'H x 8 1/2"W and matches our All About Me Journal (item #89829). 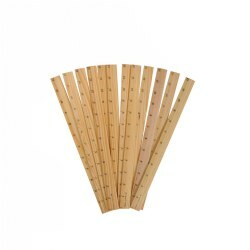 12" Wooden Rulers with standard inch measurements. 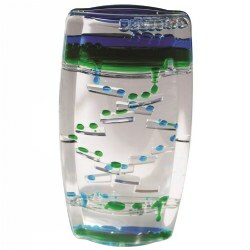 Sit back, relax and let this fun timer soothe your nerves! When you turn the timer over the colorful liquid drops drip and roll at a soothing pace. You'll be mesmerized. Each lasts for approximately one minute. 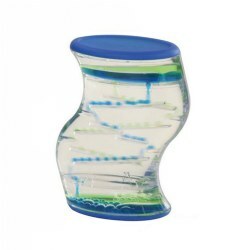 Great for all ages and can be used for stress/relaxation, quiet time or a refocusing prop. Measures 3 3/4" x 5 1/4" x 1 1/4". Colors may vary. 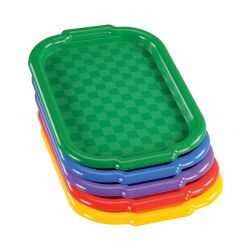 Durable plastic trays used for sorting, organizing and keeping manipulatives all together. Nest together for convenient storage and completely washable so they can be used for art supplies too. Trays measure 15"L x 10 1/2"W x 1"H. Set of 5. Pegboards are a great addition to teach beginning math skills. Pegs sold separately. 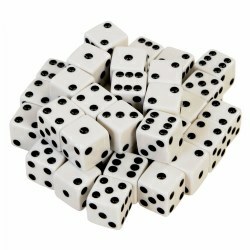 Standard white dice with black dots representing numbers one through six on six sides. 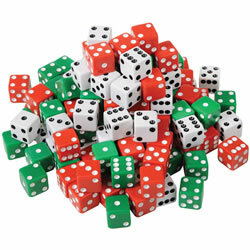 Set of 40 dice. Measures 5/8" square. 3 years & up. 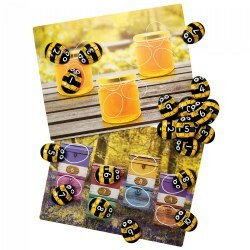 Explore and strengthen numeracy skills with honey bee number stones and colorful activity cards. 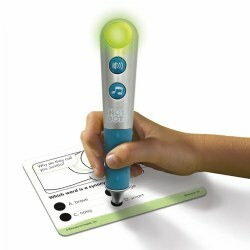 Help children to move beyond counting to number recognition, odds and evens, sequencing and more. Set of 16 durable plastic cards features detailed, photographic images that will inspire children to explore matching, counting, ordering, even and odd numbers, and bonds/pairs. Available separately and as a set. Sit back, relax and let this fun timer soothe your nerves! When you turn the timer over the colorful liquid drops drip and roll at a soothing pace. You'll be mesmerized. Each lasts for approximately one minute. 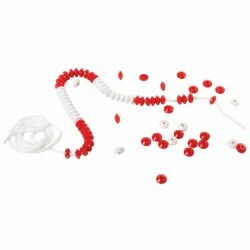 Great for all ages and can be used for stress/relaxation, quiet time or a refocusing prop. Measures 3 1/4" x 6 1/2" x 1 1/2". Colors may vary. 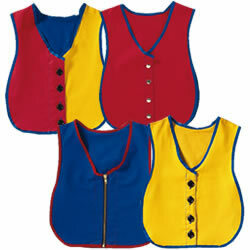 Buttons, zippers, snaps...practice dressing and self- help skills with these heavy- duty washable cotton/ polyester vests! Elastic panels allow one size to fit all children. 5 years & up. 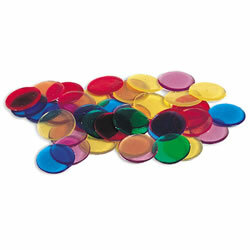 Set of 250 transparent counters in 6 rainbow colors, perfect for overhead projectors. Counters measure 3/4" in diameter. 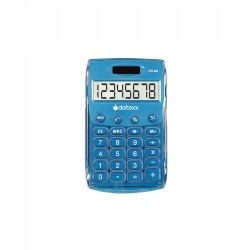 Eco-calculator with dual power, both solar and battery. 8-digit big number display. Energy saving auto shut-off functionality if not used for over 7 minutes. Ideal handheld size. Measures 4"H x 2 1/2"W. Color may vary. 2 years & up. 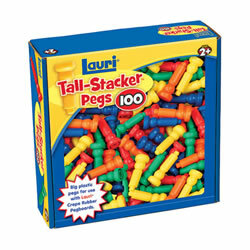 Big plastic stacker pegs to use with our large rubber pegboard (item #46949), sold separately. 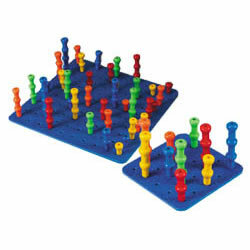 Box of 100 pegs in different colors. Measure 2 5/8" long each. Made in the USA. 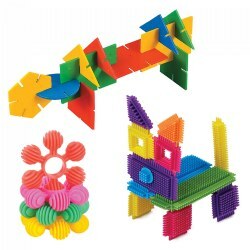 This set is great for building, sorting, patterning, and counting activities. They provide children with a wide range of graduated learning challenges. 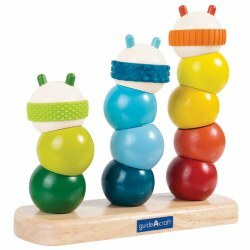 Kids begin with eye hand coordination and move onto linking, stacking, and connecting. Each set is in a clear stackable sturdy canister with a screw on lid for easy storage. Set of 3. Pack contains ten individual write-on, wipe-off number lines (4" x 20"). 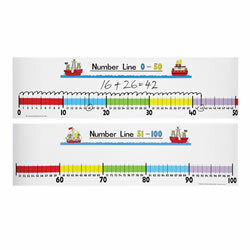 Each number line is numbered from 0 to 100. Hidden gears maintain correct hour and minute relationships as you demonstrate time telling concepts. 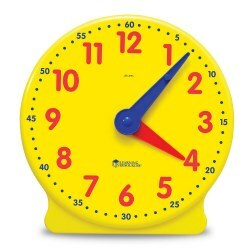 Twelve hour plastic clock is 13 1/4" high with easy to read hour and minute markings, removable stand and teaching guide. A must for any classroom. Tub of 144 standard opaque dice in 3 colors. 3 years & up. 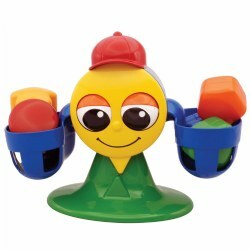 Children can practice fine motor skills while learning color-matching, shape recognition and patterning. 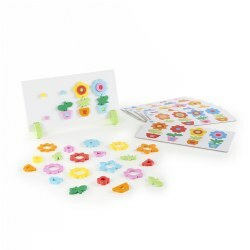 Flower Pot set includes six double-sided pattern cards, 44 pattern shapes and a self-propping board with pegs and metal backing to help guide the parts into place. Grade K & up. 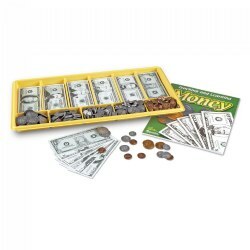 Jumbo money tray, with see through lid, is filled with 100 plastic pennies, nickels, dimes and quarters; 50 half-dollars; 10 Sacagawea dollar coins; 100 each of $1, $5, $10 and $20; and 50 each of $50 and $100 play money bills. 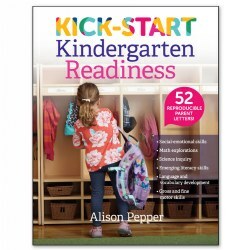 Includes 64-page Money Activity Book.